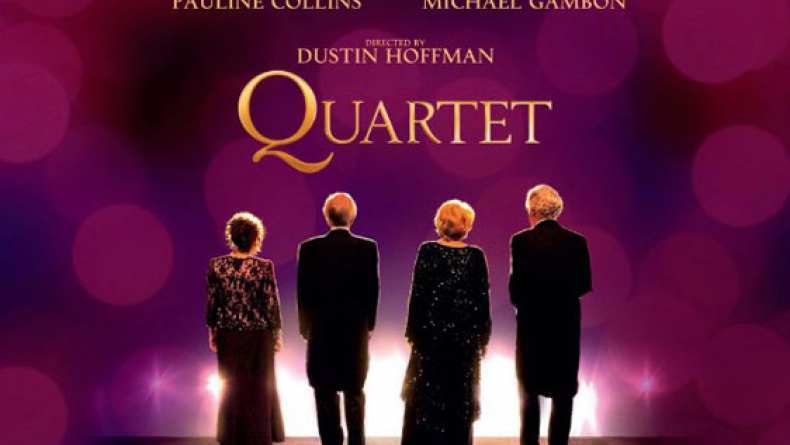 Feature international trailer for Quartet. Lifelong friends Wilf (Billy Connolly) and Reggie (Tom Courtenay), together with former colleague Cissy (Pauline Collins), are residents of Beecham House, a home for retired opera singers. Every year on Giuseppe Verdi's birthday, the residents unite to give a concert to raise funds for their home. But when Jean Horton (Maggie Smith), a former grande dame of the opera fallen on hard times, also Reggie's ex-wife and the fourth and most celebrated member of their former quartet, moves into the home to everyone's surprise, the plans for this year's concert start to unravel. As old grudges threaten to undermine past glories and theatrical temperaments play havoc with the rehearsal schedule, it becomes apparent that having four of the finest singers in English operatic history under one roof offers no guarantee that the show will go on.